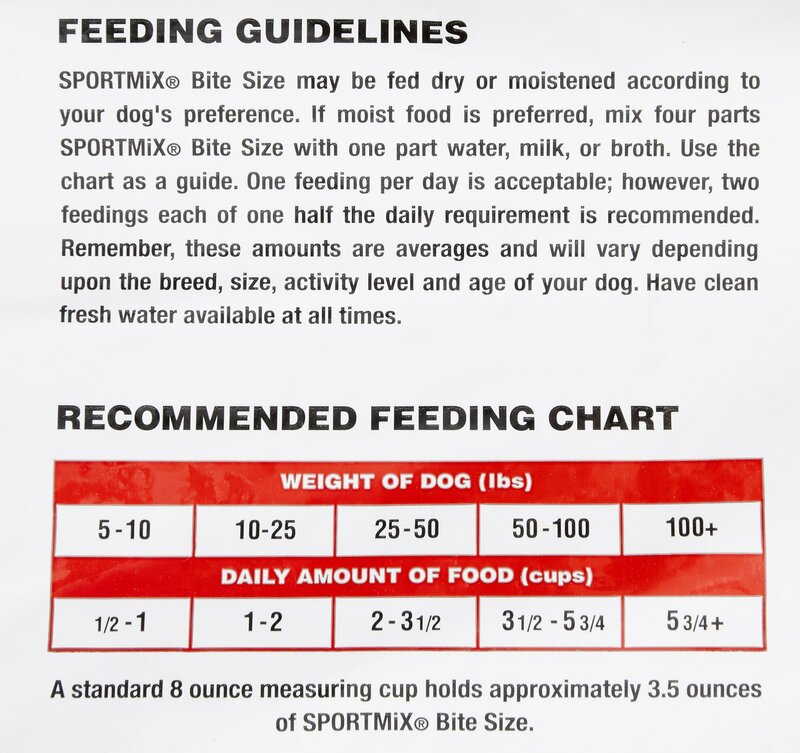 Give your small, active dog a meal worthy of an athlete with SPORTMiX Bite Size Adult Dry Dog Food. 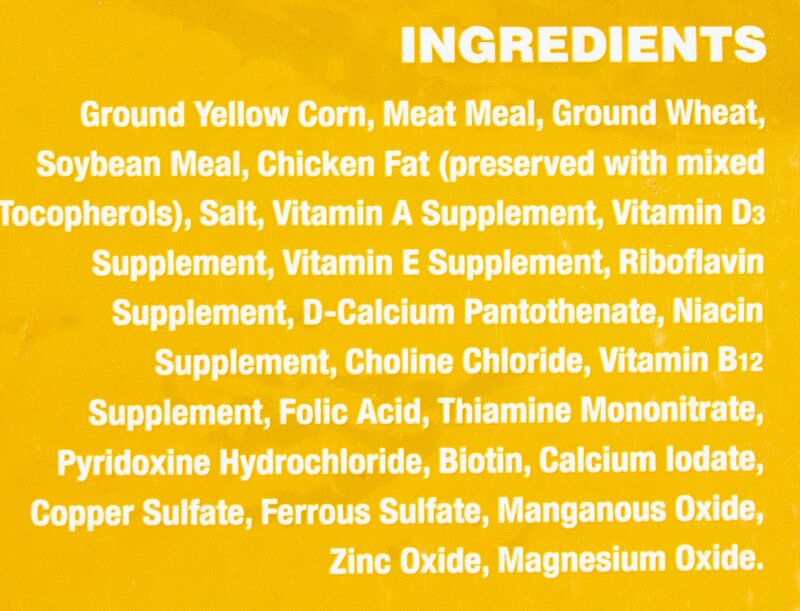 This unique formula is designed to provide active dogs with 100% complete and balanced nutrition for a healthy life. Made with busy dogs in mind, this specially-tailored food promotes strong muscles and bones in active dogs, giving them the nutrition they need to keep moving. Made from selected high-quality ingredients and fortified with essential vitamins and minerals, SPORTMiX Bite Size even helps to support a glossy skin and coat. 100% complete and balanced nutrition for your furry friend, ensuring that your dog has all he needs to stay healthy. Made from selected high quality ingredients and formulated specially for active dogs and canine athletes. Fortified with essential vitamins and minerals for an extra boost of health. Promotes strong muscles and bones in active dogs, so they can keep moving. Omega 3 and 6 fatty acids supports a shiny, glossy, and healthy coat. 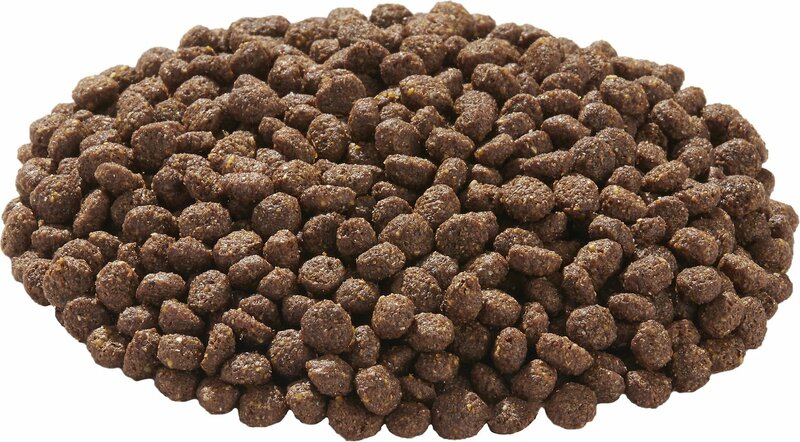 The recommended feeding amounts will vary depending upon the breed, size and age of your dog. Have clean fresh water available at all times. 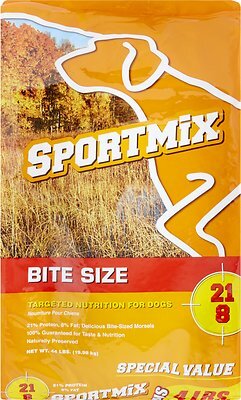 SPORTMiX Bite Size Adult Dog Food may be fed dry or moistened according to your dog’s preference. If moist food is preferred, mix 4 parts food with 1 part water, milk or broth. On days 1 & 2 of the change, you should have plenty of your pet’s old food left. Fill the bowl with 3 quarters of the old food, and one quarter of SPORTMiX®. On days 3 & 4, add in another quarter, so you have half old food, half SPORTMiX®. On days 5 & 6, mix one quarter old food and 3 quarters SPORTMiX® Food for Pets. In only 7 days, your pet will be on an all-new diet of SPORTMiX® Food for Pets! My dogs love it, it's small bits so perfect for any sized dogs, even one of my cats loves to take a few bites. Though the price is great, my dogs don't like it. I need to cancel my reorder. I have been mixing other dog foods in to get rid of it. Good quality food for an affordable price. Our dogs like this food and we really like the size of the bag for the price. We've never had any issues with this food and all of our dogs have an A+ health certificate :) Definitely recommend trying this food out! My dogs loved this food so much they were crowding the dish they share. Gobble it up more than anything we have ever given them to eat. Our pups love the food! Been great for there bellies as well! Great protein content, okay price. This product has a really great protein content both for active dogs and older dogs (they both need a high protein). 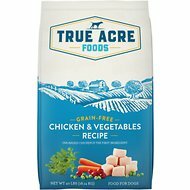 This is NOT the best priced dog food at Chewy.com. I buy a lower priced, lower protein product to mix with it (Beneful for small dogs). Nice little kibbles that my big dogs go crazy for, easy pick up too.